What an ideal holiday and entertainment home. It has uninterrupted sea view and you would be able to see the whales. Very modern and stylish swimming pool area that's partially included when the wind interferes with your pool party, for this is a great entertainment home. Lots of space and inside with two bedrooms and two bathrooms upstairs with beautiful sea views. Downstairs you have the other two bedrooms two more bathrooms. The kitchen is really modern and then you have your double electric garages direct access into the house for convenience if it rains. On a large stand, this well presented property enjoys an elevated position with distant sea views from both floors. The design allows more than enough space for a large family. The ground floor comprises an entrance hall that leads to a large "farmhouse kitchen" which includes a stove, fireplace, braai and a bar. Lots of storage space included. There is access from the kitchen to the garden. Furthermore, there is a separate sitting room and bedroom with full bathroom. Laundry, guest toilet and double garage. On the first floor are four bedrooms and two bathrooms. One bedroom has its own west facing balcony. There is a large family room / work room, a study, and open plan kitchen/dining/ sitting room. Guest toilet. The property is fully enclosed with an attractive garden and mountain views looking east. Plans are approved for a 36 sqm deck in front of the garage. 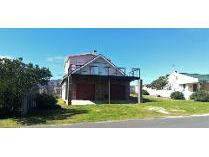 This house is situated in a popular area and walking distance to the coast. Main house has two bedrooms, with a neat modern kitchen and living area. On the other side of the house you have a flat with kitchen, bedroom with en suite and living area. Below this there is a double garage. This house is ideal for a family holiday home and there is an opportunity to rent out the flat for an extra income. This home offers you a choice to rent out the third bedroom that has its own entrance from the enclosed garden. 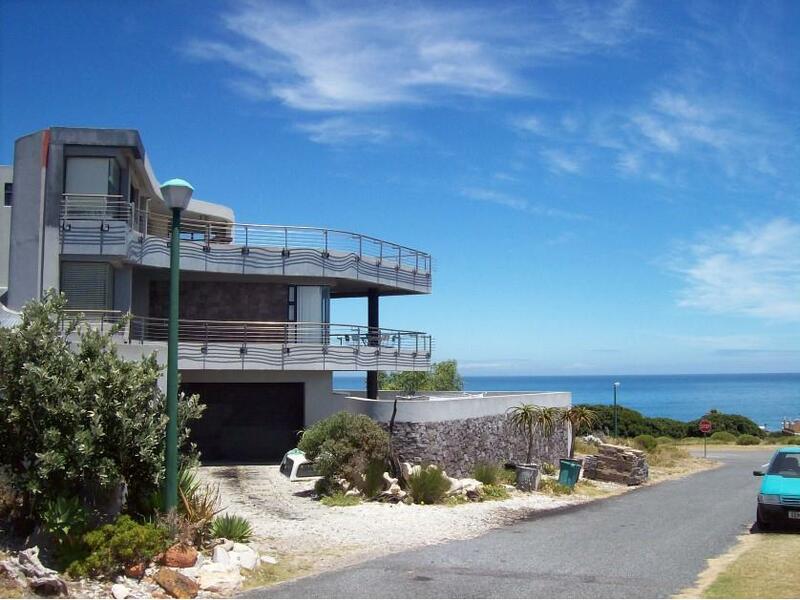 You currently have a beautiful sea view and its walking distance to the stanford caves. You have a very spacious kitchen with a scullery and laundry area. The layout is open plan with a dining room, kitchen, living room and it offers a build in braai. The main bedroom is en-suite with a full bathroom (shower, bath, basin and toilet). The third room is also en-suite for even more convenience. The garden is fully enclosed and it does have an alarm system. It also offers two garages that are bigger than the standard size. This property definitely does offer value for money. It's not only well maintained from the outside but the inside with its beautiful new tiles just blends in with the rest of the house. 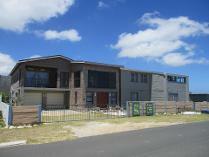 You have an open plan dining room and kitchen that leads into the tv room and the build in braai area. Lots of natural light coming through to make it even seem larger. You have two bedrooms downstairs and the one is en-suite with shower only. The main bathroom is with a bath, shower, bath and basin. You also have a laundry area and double garage. Upstairs you have another two bedrooms with a full bathroom and a little sewing room. It's also possible to rent the one part upstairs out if you change the little sewing room into a kitchen area. Lots of possibilities with this house and its walking distance to the local shop. This extremely well presented property in a sought after area is only a few minutes walk from stanford's cove beach. The ground floor comprises an entrance hall with access to the double garage above which is a large deck with sea views. Open plan sitting/ dining room with a fully fitted kitchen and separate scullery, both finished to a very high standard. Beyond this is a separate braai room with kitchen/dining area, a bedroom with en suite, and access to the tandem garage. There is the potential to use this as a self contained flat. Three further bedrooms, main with en suite and a separate full bathroom. Laundry. 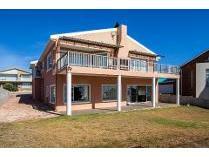 To the first floor is a large braai room complete with kitchenette and shower/toilet. From here there are extensive ocean views looking west. Store room at the back of the house. Paving to the front and rear with a small garden. Some furniture included in the sale. The ideal property for a large family for use as either a permanent dwelling or holiday home. Viewing recommended. ! 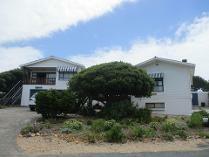 A very neat, well maintained property on the third street from the sea and short walk to stanford's cove beach. The ground floor comprises an open plan kitchen/ living area with fireplace. Two bedrooms (bics). Main bedroom has en suite and there is a separate shower & toilet. An attractive staircase leads to the first floor. 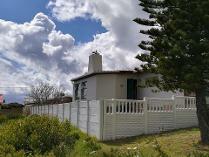 There is a sitting room with braai and access to the west facing balcony with ocean views. Two further bedrooms (bics) and a shower/toilet. Double garage with laundry area and storage space. Attractive garden with irrigation. Viewing recommended. Permanent sea views from the deck with access from the large double garage to a loft area. 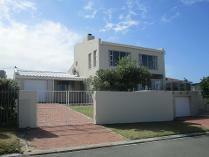 The ground floor comprises a separate kitchen and sitting room with braai. Bedroom with en suite shower. 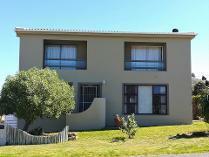 On the first floor is a sitting with braai, dining room, two bedrooms and shower/toilet. The property is fenced on three sides and enclosed at the rear. Suitable as a permanent dwelling or holiday home. 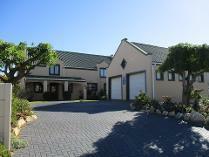 Sole mandate: this four bedroom house is situated in the well known de kelders. On the first floor there are two bedrooms. The main bedroom has an en suite. Open plan kitchen / living area with an indoor braai. From the balcony there is a beautiful sea view with an outdoor braai. On the ground floor there are two bedrooms with a bathroom. Living area with a scullery. Lots of built in cupboards and a spacious double garage.